Vitamin B-12 is a water soluble vitamin with a key role in the normal functioning of the brain and nervous system, and the formation of blood. MIC (Methionine, Inositol, Choline) are lipotropic substances that play an important role in fat metabolism. 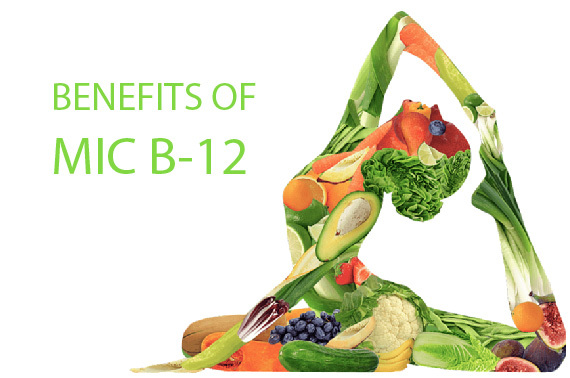 MIC B-12 injections can help lose weight, improve metabolism and improve your mood. What are some of the potential benefits? According to Karen Stevens, APRN, FNP-C, of A Perfect You, “This combination helps with the breakdown of fat. MIC B-12 works best in conjunction with exercise, stress reduction and diet.” So come in and get your fat burning, energy boosting MIC B-12 and a stress reducing massage!